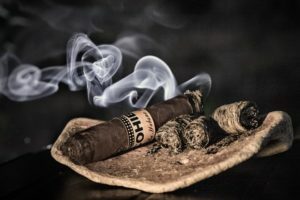 A couple of the top-rated life insurance carriers I work with are now offering true non-tobacco rates for tobacco users that don’t smoke cigarettes. Make no mistake: these aren’t gimmicks like small face amount policies or products that are priced so poorly to begin with it isn’t a big deal. Term life and permanent policies (including IUL) are available. Everyday use is fine; this isn’t “occasional or celebratory use” like the 12 cigar a year stuff you’ve heard about in the past. Smoke ‘em if ya got ‘em because regular cigar smokers, pipe smokers, chewing tobacco users, vapers, hookah enthusiasts, etc. all qualify as non-tobacco risk class as long as they don’t also use cigarettes. Marijuana users may also qualify depending on frequency of use and some other lifestyle considerations. The exact underwriting criteria and process will vary by carrier. Make sure you’re applying with a carrier that has this progressive view of non-cigarette tobacco use. Very few carriers have this underwriting view. In most cases the use must be disclosed on the application and full medical underwriting is required. Typically, standard or standard plus is the best available rate class even if the applicant would otherwise qualify for preferred rates. Standard or standard plus non-tobacco are usually much better than preferred tobacco. Obviously, all the regular underwriting considerations are evaluated. Someone that would have trouble qualifying due to non-tobacco related issues still will have trouble qualifying. *based upon Compulife rate tables 10/17 for leading carriers offering representative products. Rates subject to change at any time and applicant must fulfill all underwriting requirements. With all the money you’ll save on life insurance each month, you can afford to treat yourself to a really good box of sticks!